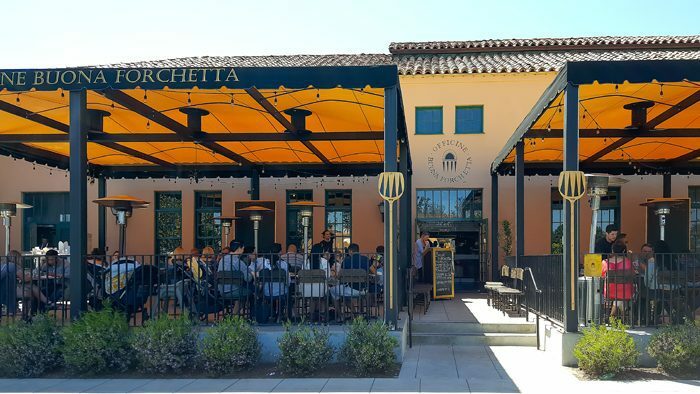 Officine Buona Forchetta recently opened in Liberty Station. 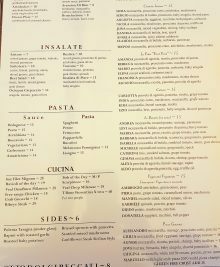 The restaurant is a collaboration between the owner of Buona Forchetta and the chefs of BiCE. 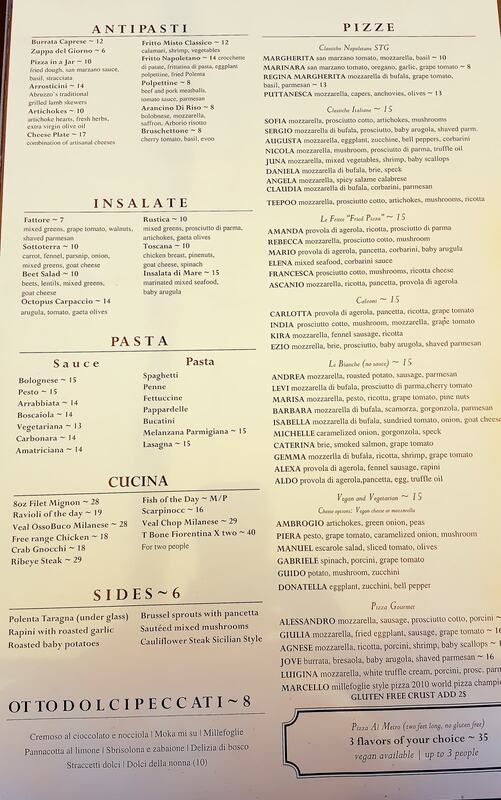 I’ve enjoyed the pizzas at Buona Forchetta, so I was looking forward to the new Liberty Station location. The restaurant has both indoor and outdoor seating and we chose to sit outside since it was so nice out. The outside patio area is covered, but unfortunately the awning cast an orange/red hue over our food making photos difficult. 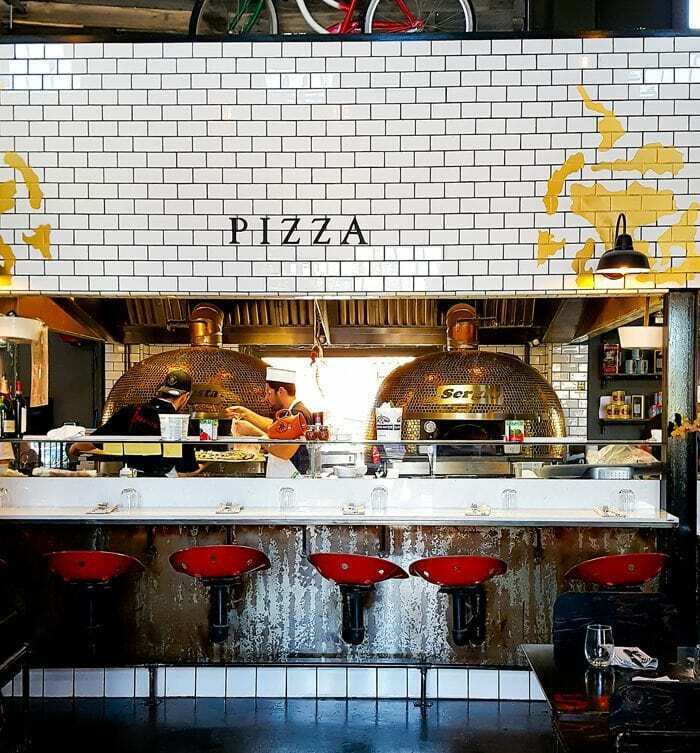 Inside the restaurant, there are two pizza ovens, named Augusta and Sergio, with one oven dedicated to gluten free pizzas. There is also a vintage red Fiat that has been converted into a table for two that guests can dine at. Fried dough, san marzano sauce, basil, stracciata. I love ordering appetizers in jars. I had envisioned golden fried balls of dough served with a jar of pizza sauce and cheese for dipping, so I was a little surprised to find that everything–including the fried dough– was already in the jar. 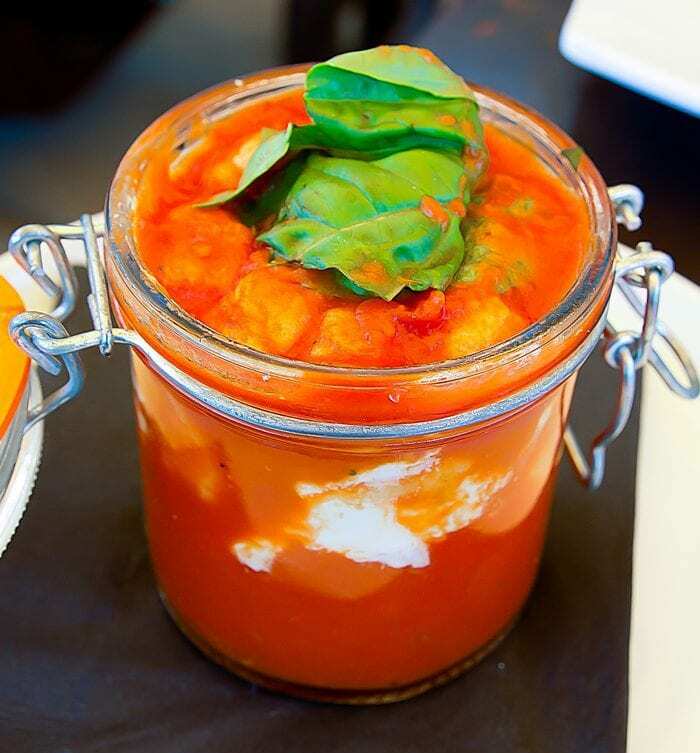 The dough balls were soft from sitting in the jar and soaking up the tomato sauce. They tasted okay, but not really what I was expecting. Octopus has become such a popular item to include at restaurants now but this was the first time I’d seen a carpaccio-style. 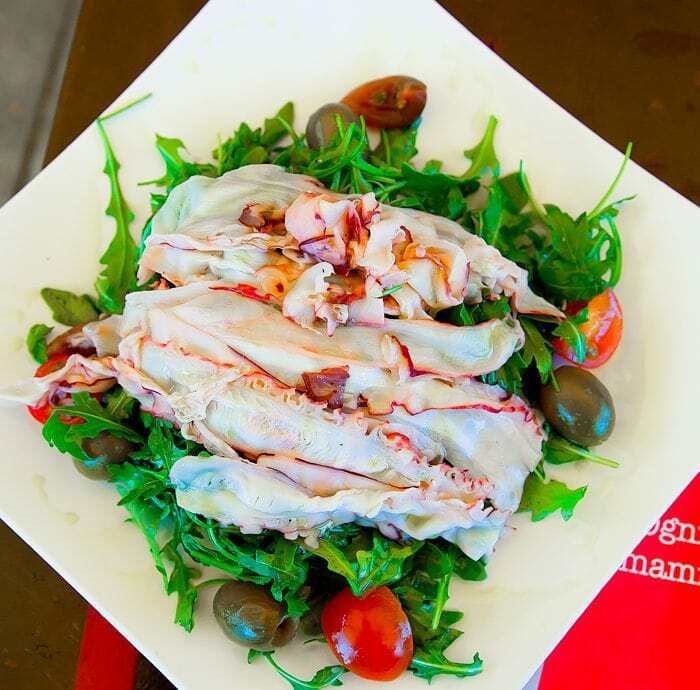 The thin slices of octopus were placed on top of a bed of arugula, tomatoes and olives. It was light and refreshing, but I did feel like the octopus needed something more in its preparation to coax out its flavor. The one thing I really wanted to try out from the menu was the fried pizza. They have quite a few to choose from. I’m sorry I couldn’t properly capture how pretty the pizza was because of the patio cover casting an orange/red hue on the pizza. It did look a lot better in person. 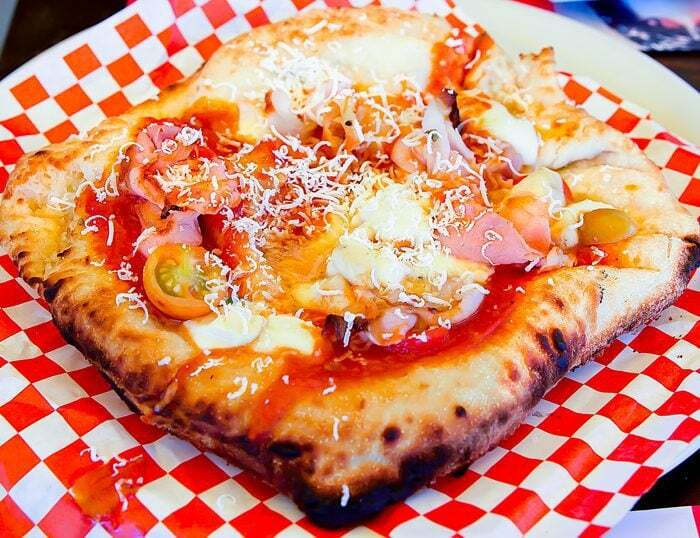 Because the dough is fried, it does shrink, making the overall pizza size smaller than their regular wood-fired pizzas. 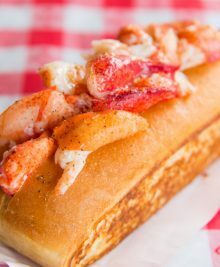 However, the dough gains incredible height when it is deep fried, leading to a very fluffy crust that doesn’t feel greasy at all. Our pizza included provola di agerola, pancetta, corbarini, baby arugula. I really loved the smoked cheese, but my favorite part was definitely the pizza crust itself. Look at how thick it is! Normally I’m not a pizza crust eater, but fried pizza crust is different. 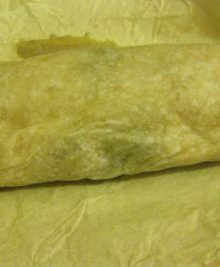 The crust was crusty and crunchy with a soft and fluffy interior. 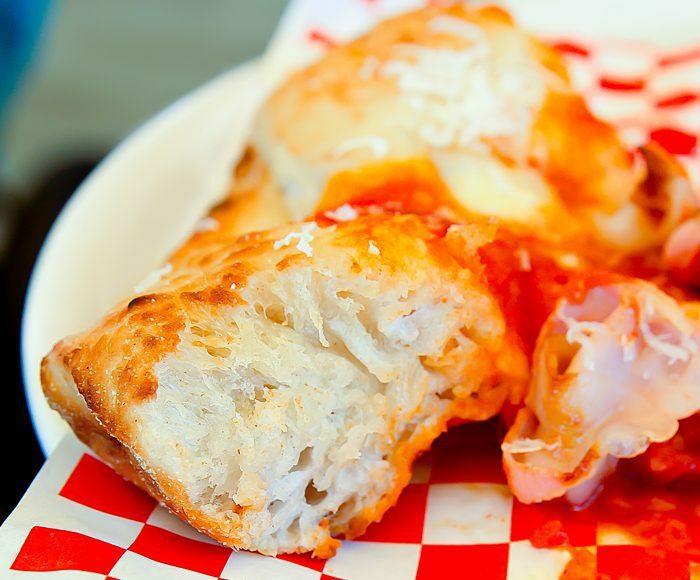 I’d definitely come back for another fried pizza. The table next to us ordered quite a few pastas and other dishes that all looked delicious. I do want to come back for more pizza and some of the pastas. Overall, we had a pretty good first meal here. The restaurant is spacious and the outdoor seating works especially well for families with small children. There is even a grass playground area right next to the patio for kids to play at. 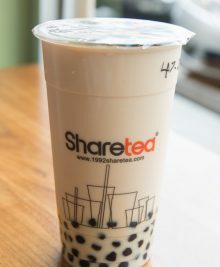 I do plan on coming back to try more items and bring Mr. K so he can try the food. I dined here with my friend CC. I’ll link her post once it’s up! Enjoyed our lunch together. The fried dough was was quite delicious and airy. The pizza in a jar wasn’t what I expected either. I do want to try their crab gnocchi and their other pizzas for future visits. It was so fun having lunch with you, as always!